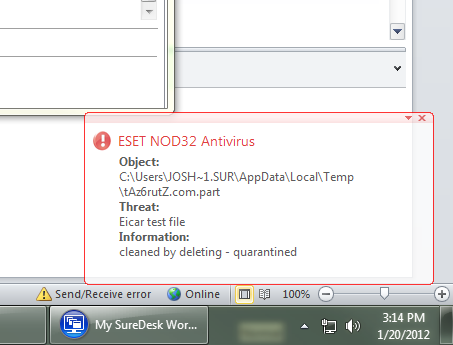 How do I deal with virus message? The SNAP Anti-Virus should protect you from viruses of all types, but a sneaky virus could still potentially get onto your computer. Shutting down the computer and contacting us will prevent any serious damage to your computer and will save you time and money.